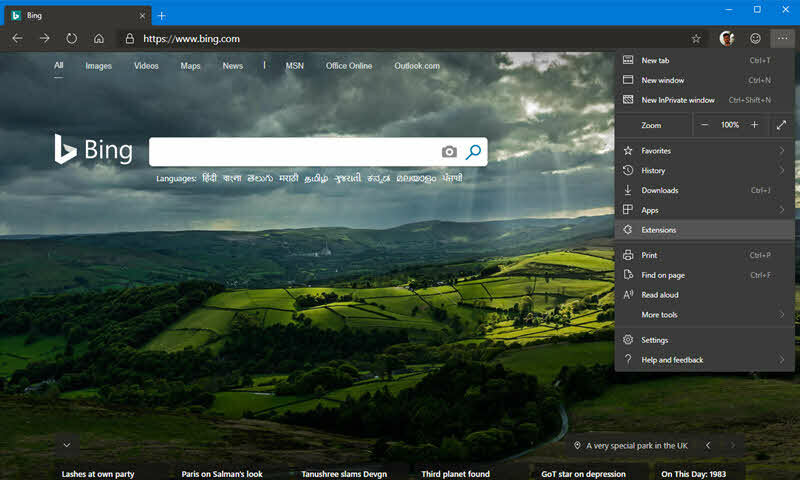 You might be aware that the Microsoft Edge preview builds powered by Google's Chromium engine are now available for you to try during its initial development stage, so that, you can start giving feedback for a better future. While using the latest preview build, you may want to know whether the new Edge browser supports Dark Theme. In this quick tip, we will learn the way to enable dark theme on Chromium Edge. Microsoft kicked-off the Edge Insiders program in the month of December 2018 and stated that the next version of Microsoft Edge will be based on Google's Chromium Engine. In April 2019, the giant company released the first public preview build to consumers who want to try and provide early feedback to the developers. Initially the build released in weekly Dev Channel and nightly Canary Channel, but there exists future plan of a new Beta Channel. Open the new Microsoft Edge browser and navigate to edge://flags/. Search for theme and enable the Microsoft Edge Theme settings. You may need to restart the browser. Now, if you want to set the dark theme, open the Windows 10 Settings app. Navigate to Personalization | Colors and set the Dark color mode. If you have come this far, it means that you liked what you are reading (How to enable the hidden Dark Theme on Chromium based Microsoft Edge browser? ).